Every so often, I feel like I just want something quick and lightly suspenseful to read. Nothing too dark or gritty, but something that also still falls within the crime fiction genre. This balance can be surprisingly hard to strike, but John Marrs’ THE ONE delivers a strong contender. THE ONE has been compared to the dark TV show Black Mirror, a comparison which - though perhaps not quite apt - nevertheless gives the reader a general sense of the tone of this book. 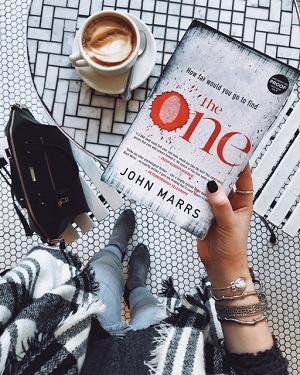 THE ONE takes a very ordinary topic (an online dating service) and turns it on its head, exploring the secrets, manipulations, and conflict that can plague even the most picture-perfect (or scientifically "matched") couple. 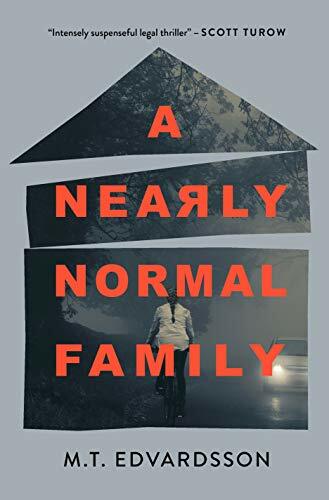 Though not as dark or disturbing as Black Mirror, THE ONE delivers an engaging and “light” suspense novel—the kind of read that I quite literally devoured in two sittings. THE ONE is one of those books that will require a reader with the right expectations to enjoy it, but if you do have the right expectations, you won’t want to put this one down. There are some books I recommend without qualifiers, and others that I am very keen to make sure readers have the right expectations for when they pick up—and THE ONE falls into the latter category. Content-wise, THE ONE is admittedly not the most groundbreaking or sophisticated suspense novel, but when it comes to entertainment value, this book has a lot going for it. THE ONE reads like a dramatic TV show—its alternating focus on five different couples draws the reader into a wholly entertaining web of secrets, lies, and their ramifications. The structure of this book, with its quick pacing and shifting focuses, lends itself to binge-reading; in fact, I did just that, and read this book in two sittings. When done well - as it is here - this kind of page-turning plotting leaves the reader in suspense at the end of each and every chapter; each chapter seems to end with just enough of a cliffhanger to keep the reader coming back for more. The relative simplicity of each storyline in THE ONE facilitates the many shifting viewpoints that the reader experiences, a balance for which I fully credit the author. It’s no easy task to write a thriller that manages to explore so many different characters while maintaining binge-able pacing and ease of understanding. When I picked up this book, I hoped for a read that would just plain entertain me, and that’s exactly what I got. I will never, ever turn up my nose at a fun, lighter commercial thriller, and THE ONE delivers a read that will appeal to like-minded bookworms. That being said, the content of the book itself does leave something to be desired. I hadn’t anticipated that so much of this book would be focused on what is essentially relationship drama, and I could have done with a bit more tension and substance sprinkled throughout. I talk about expectations all the time here on Crime by the Book, and I think my expectations for THE ONE are a perfect example of why having the right expectations is so important. One of the reviews quoted on the cover of THE ONE compares this book to the hit TV show Black Mirror, and I, being a huge Black Mirror fan, put a bit too much weight on that comparison. My resulting experience reading this book was lackluster in this respect. Readers similarly hoping for a crime novel that matches the intensity and darkness of Black Mirror will find THE ONE a bit lacking; it delivers neither the psychological astuteness nor the grim social commentary that make Black Mirror such a standout. But again, there are two sides to every coin, and there certainly are relatable topics explored in THE ONE as well—themes which would feel right at home in one of Black Mirror’s lighter episodes. Black Mirror excels at pushing a familiar situation to a not-so-far-fetched (and thoroughly disturbing) extreme, and THE ONE achieves this to varying degrees of success. There are a few absurdities and oddities in this read that do require the reader to suspend disbelief just a bit, but my personal experience reading this book was hardly hampered by them—I was just having fun enjoying the entertainment value this book has to offer. THE ONE digs into the world of online dating and the pressure to find and be part of a “perfect couple.” In THE ONE, the idea of the “perfect couple” is dismantled—here, even couples whose “match” can be proven scientifically have dark secrets. Readers simply looking to be swept away by a story that's equal parts drama and light suspense - and willing to overlook a few stretches of the imagination in the process - will thoroughly enjoy what THE ONE has to offer. You are NOT a fan of reading about relationship drama - this book is full of it!